CerTest FOB + Transferrin one step card test is a coloured chromatographic immunoassay for the simultaneous semi-quantitative detection of human haemoglobin (hHb) and human transferrin (hTf) in stool samples. 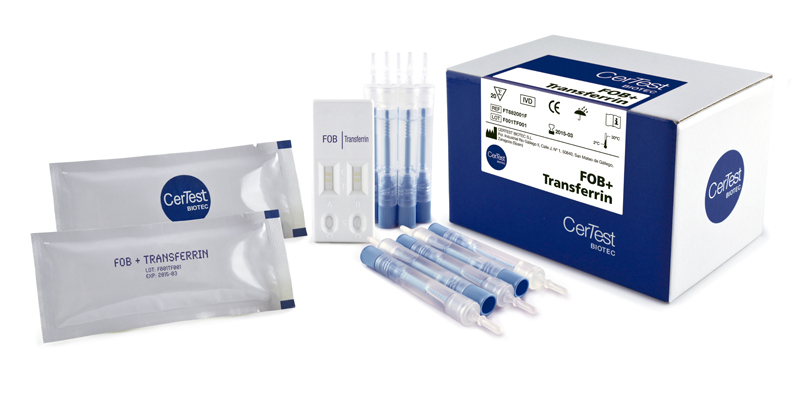 CerTest FOB + Transferrin card test offers a simple, a highly sensitive and non-invasive screening assay to make a presumptive diagnosis of gastrointestinal bleeding. Colorectal cancer is the second leading cause of illness and death in the Western world. The screening using faecal occult blood tests is based on the bleeding detection, as important symptom of colonic neoplasm, either at an early-stage cancer or large adenomatous polyps. Colorectal cancer is also associated with local acute inflammatory reaction being visualized, in some cases, by white cell neutrophil scanning. Haemoglobin is the iron-containing oxygen-transport protein in the red blood cells of all vertebrates that may be leaked into gastrointestinal tract and then discharged with the feces in gastrointestinal bleeding diseases. Transferrin is a blood-derived component that may be leaked into gastrointestinal tract and then discharged with the faeces in gastrointestinal bleeding diseases. Transferrin is stable in faeces and a good marker to detect loss of blood from the upper and lower intestine (gastrointestinal bleeding). When gastrointestinal blood is lost, the stool will contain a combination of intact or nearly intact haemoglobin, intact heme and heme-derived porphyrins in amounts that depend on the site, the amount of bleeding and the transit time through the gut.  Immunochemical tests detect intact or nearly intact human haemoglobin, being a very specific technique to detect the loss of blood from the lower intestine, because blood from lower sites is less degraded during transit. The haemoglobin is unstable in faeces, leading to false negative results. The detection of faecal transferrin, which is more stable than haemoglobin, provides an alternative way of diagnosing the disease in the upper digestive tract.